See the beauty of the desert as you take in the vast splendour of Lake Amadeus. Then fly to the majestic Uluru and Kata Tjuta, realising their powerful presence amongst the ancient sand dunes covering our red centre. You will then be flown over Northern Territory's largest salt lake, Lake Amadeus. 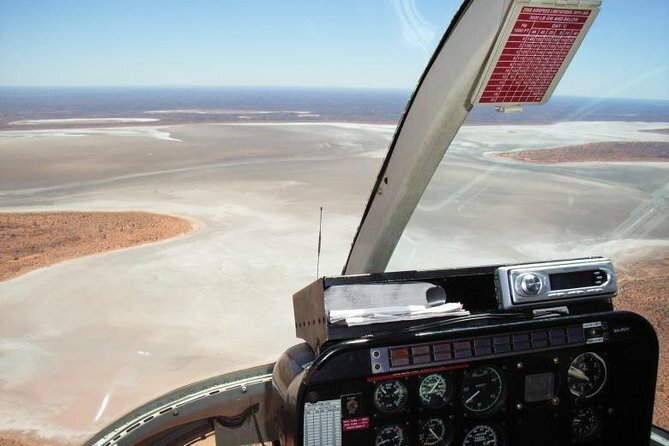 This dry salt lake stretches for over 180km, and is only accessible by taking this aerial tour. Your pilot will keep a sharp eye out for wild camels roaming across the landscape, and you will have the opportunity to take photos and gain memories from this once in a lifetime experience. Take in the Central Australian landscape whilst flying over the World Heritage-listed Uluru Kata Tjuta National Park.